We say «Qualcomm» – and we mean mobile processors and modems, say “mobile processors and modems” – and are more likely to mean exactly Qualcomm. However, the interests of the California-based company is not only limited to the creation of systems on a chip.And even if at the MWC 2015 Qualcomm announced a new platform for mobile devices – Snapdragon 820 – but the attention paid to her at least. The company said only that the market will be the processor by the end of the year and that the kernel it will own a 64-bit architecture Cryo. Much more time and attention paid to speakers of three other novelties. Fingerprint sensor smartphones already managed to prove himself a good idea – it’s the easiest and fastest way to unlock your smartphone or enter the password at the same time reliable and convenient. Until recently, smartphones used two types of fingerprint sensors – both capacitive, but one – active, another – passive. The first type can be found in the iPhone 6 , 6 Plus and Huawei Mate 7 , and the second – in the Samsung Galaxy S5. Active capacitive sensor differs from passive in that it is not as demanding and fingertips cleanliness to ensure that the surface of the sensor was not scratched. As a result of normal use of the sensor in the iPhone turned out much more frequently than in the Galaxy S5, where the authentication finger had to spend two or even three times. Nevertheless, both have their drawbacks. 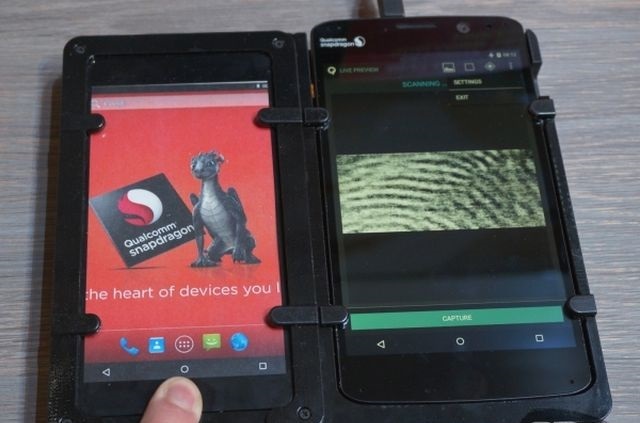 Qualcomm offers a fundamentally different way – ultrasound. With the help of piezoelectric transducers generate high-frequency sound waves that penetrate through the top layer of skin is partially reflected and then fixed matrix piezoelectric same receivers. Because the sound, unlike electricity, does not extend instantaneously, ultrasonic sensor allows to take into account not only fixed sensors energy, but also the time in which the signal was received, – it adds an additional picture, the third dimension. On the basis of these data, the image is constructed surface of the finger – pseudo mark, allowing to take into account the small details like pores that the capacitive sensor is not able to see. This method allows, on the one hand, to make the fingerprint more stable, and on the other – to improve security: a more detailed ultrasound sensor harder to cheat. And since the procedure takes some time to read, time to fix the sensor tide or low tide in the blood vessels – in fact, determining that before it really a living person. So fans of black humor and crime dramas can not worry: cut your finger and use it to unlock will not work. The ultrasonic method is not only more accurate, but also more versatile. Firstly, the sensor need not be placed on the button – it can be hidden in any part of the phone: ultrasonic method does not require the maximum snug fit to the finger surface. Secondly, over the sensor material need not be glass: nothing prevents a use of conductive materials such as metal, which are completely unsuitable when creating a capacitive sensor. Also suitable plastic, sapphire glass or the same – well, more or less all of which can make the body of the smartphone. Finally, an ultrasonic sensor, unlike capacitive not going crazy if the user is not well wiped his hands and smeared them some cream.These additional layers change capacitance of capacitive sensors distorting perception, whereas ultrasound they present no barrier. Qualcomm demonstrated new sensors on the stand: one touch of a finger is enough to get quite detailed imprint. At the same time, in some samples the sensor could not be seen at all – it was hidden in the body of the smartphone and does not stand out visually. Sense ID 3D does not only consist of the sensor itself, but also from the integrated circuit QBIC (Qualcomm Integrated Biometric Circuit) and additional software and hardware, which is the responsibility platform Secure MSM, available in every modern chipset Qualcomm.Through the use of Secure MSM and support FIdO (Fast Identity Online) information about your fingerprint never leaves the limits of the smartphone – are given out only the final data: the user has passed the authentication or not. Accordingly, the chances that your fingerprint flow away in the network, significantly reduced. 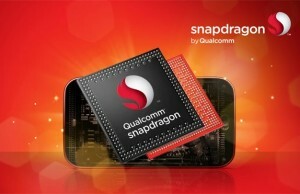 Of existing platforms, Snapdragon Sense ID 3D supports two – Snapdragon 810 and 425, but, in theory, the technology is compatible with all of the families Qualcomm chip 400, 600 and 800. Needless to say, the ultrasonic sensor can be connected to a chipset 820 Snapdragon – when finally displayed as a finished chip. 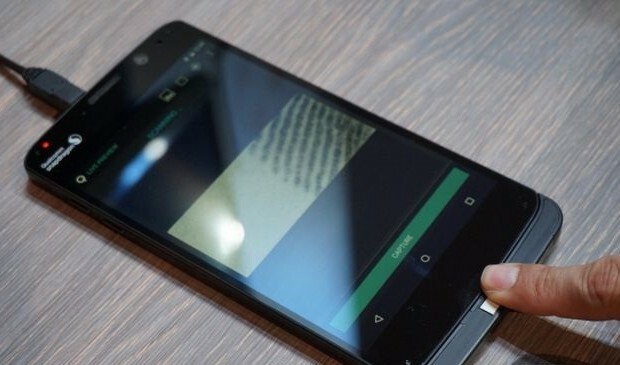 Devices with a new scanner should enter the market before the end of this year. Qualcomm Zeroth – the first creation of Qualcomm in cognitive computing. It sounds loud, but quite difficult to describe the Zeroth specific words. In general – is a program that is able to compare the images and find them similar elements. So if “feed» Zeroth large number of images, which is, for example, a human face, and every time to explain that this is the person and not something else, the Zeroth learn to recognize faces on other images, detecting them high degree of probability. And the more she finds them, the better it will do so in the future. Cognitive programs, as well as capacitive fingerprint sensors, invented not Qualcomm, but Qualcomm is adapted them for use in mobile devices. 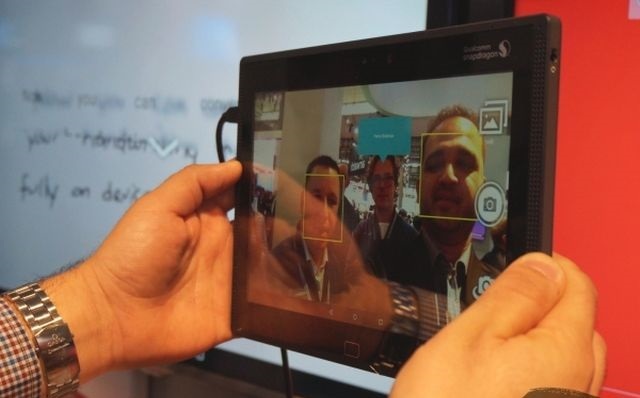 To work Zeroth requires all computing power announced at MWC 2015 flagship Snapdragon processor 820, including the possibility of graphics adapter – for heterogeneous computing with a high degree of parallelism. Previously, such a program could only run on desktop computers or something more powerful. Well, or in the cloud, as it does, say, Apple, offering users to communicate with Siri, which runs on the cloud speech recognition engine Nuance Dragon. 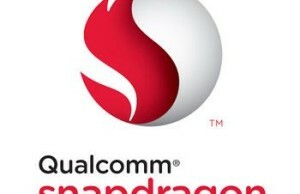 While Qualcomm is not talking about any specific methods of application Zeroth devices based on Snapdragon 820 – Californians platform called “foundation for further expansion of functionality.” And offers lots of potential options that further expansion, which, however, will not necessarily be realized. Consider a couple, which was presented at the booth.The simplest application – scene recognition when taking pictures and automatic selection of settings that provide the best image quality.In the form in which the Zeroth was presented at the MWC 2015, a program for creating pictures is already trained to distinguish whether there is a person in the picture, if there is heaven, whether the photographer removes food (yes, hipsters!) Or landscape.Information about the fact that “thinks” about the program block for clarity on the screen. In one form or another, this technology exists in all modern cameras (modes “supercar”, etc. ), but here it is, first of all, implemented by the universal platform, and secondly, lends itself to further study. The second option – handwriting recognition. On the stand offers a simple piece of paper to write on any phrase – and bring it to the camera plate Zeroth on board. Recognition accuracy is still far from perfect, but quite decent – curve handwriting of the author of this material are sometimes not even able to read people and tablet right recognized most of the words. However, catches the eye is how many aspects necessary to provide the program to run smoothly and stably. For example, to cope with a single word written in large print, could not – she had been taught that people usually write on a sheet of at least a few lines of text. At this stage Zeroth familiar with the English language – that is, with the Latin alphabet and vocabulary – but in the long term its going to teach Spanish, Italian, French and German. Then follow Cyrillic languages. Again, nothing new Zeroth does not offer: Abbyy with hisFinereader gone much further, but remember that Finereader – a specialized application and Zeroth – a universal platform, which instead showed pictures dictionary. 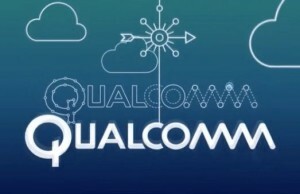 Among other potential applications offered by Qualcomm, – increase security by explaining the Zeroth standard patterns of behavior of malicious programs, optimization of wireless connections, prediction of user actions, automatic volume control, speech recognition and gestures. In general, Zeroth – this is really a kind of base for further development of mobile devices in various directions. And even if almost all of it can be done now with the use of cloud technology, truly large-scale use will be available only when the data processing will be carried out directly on the device – this is what offers Zeroth. Speed connection to the Internet in many cases is a critical parameter. Network virtually anywhere overloaded and therefore can not provide the performance, though how many are close to the theoretical maximum. For example, in Moscow deployed network LTE Cat.6 aggregation of two carriers with 20 MHz each, which in theory allows you to download data at speeds of up to 300 Mbit / s. But where you have seen at least 100 Mbit / s ?! Qualcomm offers to solve this problem by using LTE on unlicensed frequencies. In the short term – at 5 GHz, which, for example, operates Wi-Fi. In fact it is a simple and elegant solution: simply select the least busy channel in this range and add it as an additional lane to the existing licensed spectrum in, thereby obtaining increased bandwidth. The same carrier aggregation only in a different range.This technology was not invented by Qualcomm – is the fruit of a collective effort of several large companies, something like a first step on the way to the networks 5G. And at MWC 2015 Qualcomm announced that the new femtocell chipsets FSM99xx FTR8950 and will support LTE-U. Of course, only one access point for this technology is not enough – the client devices must also support LTE-U. So with FSM99xx and FTR8950 Qualcomm introduced WTR3950 – first transceiver capable of operating with LTE-U. It is manufactured under 28-nm process technology and supports aggregation of bands up to a width of 40 MHz of the 5-GHz band. 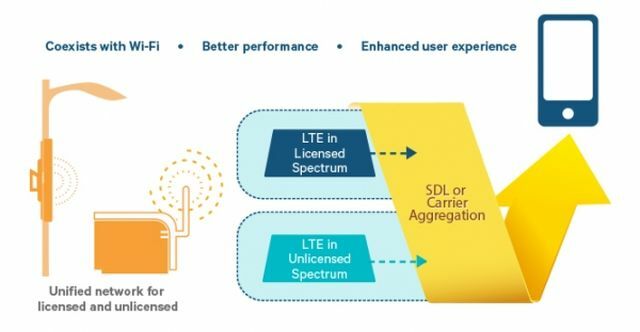 But back to the technology LTE-U: if it were as easy as it sounds in the definition, this idea is guaranteed to be implemented before. But the case may interfere very much – from the interference of radio waves and ending state regulation of unlicensed bands. According to statements made by Qualcomm, LTE-U perfectly coexist in the same band with Wi-Fi. Firstly, the femto LTE-U least loaded channel is selected, to avoid interference with other signals – in the 5-GHz band is available for multiple channels of 20 MHz. Second, if there is a clear channel, comes in a space-time separation of the signals. In fact, LTE nodes analyzed air and try to transmit data so as to avoid collisions with other wireless networks, alternating periods of activity and “silence”. In studying the behavior of Qualcomm LTE-U and Wi-Fi, even under high load range – and concluded that the LTE-U affects operation Wi-Fi-point less than the second switch Wi-Fi-access point. However, the conditions of this experiment is far from reality. And wherein the bandwidth of a network operator in a spherical vacuum using LTE and LTE-U is higher than in the case of spherical operator tried to combine LTE and Wi-Fi. But the problem with government regulation remains. In Russia, the device operating in the 5 GHz band, may only be used within buildings – and then only if the transmitter power does not exceed 100 mW; otherwise it is necessary to obtain a license. So either as technology advances, our state will reconsider their views on the license, as has already been done once in 2013, or LTE-U, we have not shine – except in the same way that Wi-Fi and 5 GHz. And since no movement in the direction of the revision of the legislation until the government does not and is unlikely to do, LTE-U for us is a great idea – and nothing more. To summarize, we can say only that when considered technology will be available in the market. Fingerprint sensor, as we have said, should appear in the end devices to the end of the year, Zeroth, probably teach some interesting tricks and integrated into end devices within the next two to three years, and LTE-U, is likely to start at the same time with the beginning of the deployment of networks 5G -although operators Verizon and NTT DoCoMo have already begun to test this technology, the mass of its application should be expected,the commercials in 2020.